Find Columbus, IN New Homes for sale. View Photos, Maps and MLS Data Now! 2 car garage. Completion late July 2019. MLS#21631920. F.C. Tucker Scott Lynch Group. This home is the ultimate family home! MLS#21630778. Drees Homes. 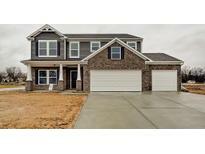 4 bedroom, 3 bath, 2 Story Home With Full, Unfinished Basement With 2 Egress Windows.Lovely New Thompson Home In Convenient Breakaway Trails. 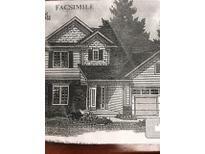 MLS#21629824. RE/MAX Real Estate Prof.
Home comes with a 10 year warranty. MLS#21619373. Weichert REALTORS? Cooper Grou. Envision what your unfinished basement could look like with your final touches! MLS#21618490. Drees Homes. Home comes with 10 year home warranty. MLS#21617515. Weichert REALTORS? Cooper Grou. 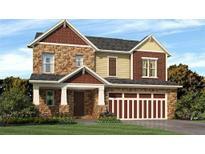 Purchase price with optional Finished basement for higher price $. MLS#21616353. Spoon Real Estate, LLC. 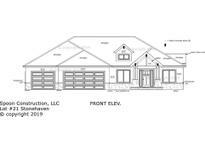 Purchase price with optional unfinished basement for lower price $. MLS#21615993. Spoon Real Estate, LLC. MLS#21612324. CENTURY 21 Breeden REALTORS®. Full basement with daylight windows and a 2 car attached garage. MLS#21603304. CENTURY 21 Breeden REALTORS®. Begin dreaming of finishing your full basement with daylight windows and full bath rough in! MLS#21596501. Drees Homes. This home will fit all of your family's needs! MLS#21595868. Drees Homes. Basement also features a full Bathroom, large Recreation room with wet bar, Office and tons of storage! MLS#21585355. F.C. Tucker Scott Lynch Group. Wifi thermostat, fireplace w/mantle, vaulted ceilings, covered deck, laundry w/sink. MLS#21552567. Spoon Real Estate, LLC. Wifi thermostat, fireplace w/mantle, vaulted ceilings, covered deck, laundry w/sink. MLS#21529465. Spoon Real Estate, LLC. Main Bath with Double Sinks. Convenient city location. MLS#21388337. CENTURY 21 Breeden REALTORS®.